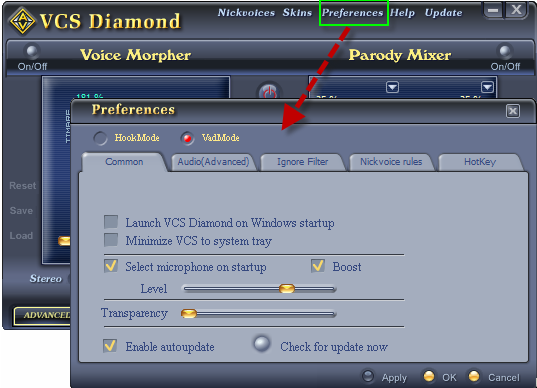 In this tutorial, we demonstrate how to use the Voice Changer Software Diamond 7.0 (VCSD 7.0) for changing your voice in TokBox. 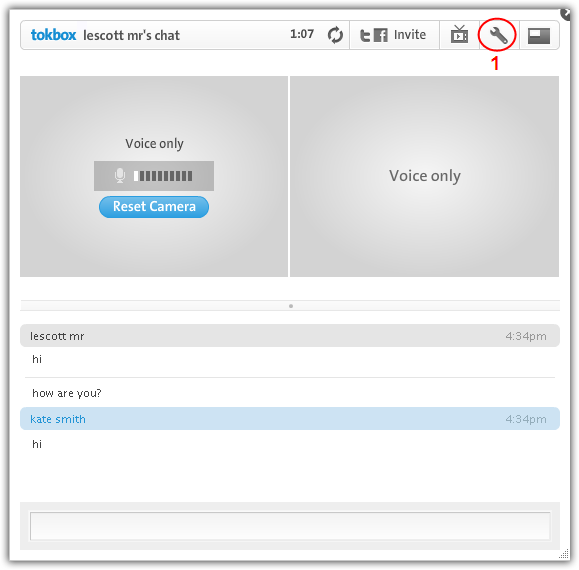 TokBox is a web application that allows users to make multi-party video chat calls over the Internet without a download. Users can invite people to join their video chats via email, instant messaging and social media sites. They can share media and collaborate on documents together within the video chat, and send video messages by email. Return to VCSD 7.0, choose the morphing effects for your voice, and make adjustments until you are satisfied with the output voice. - Start a Video chat with your friend. 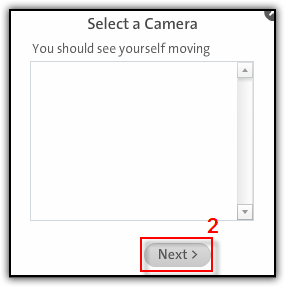 - On the Select a Camera dialog, click Next(2) to continue. 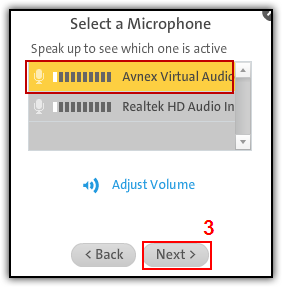 - On Select a Microphone, select Microphone (Avnex Virtual Audio Device) and then click Next (3) to move on. 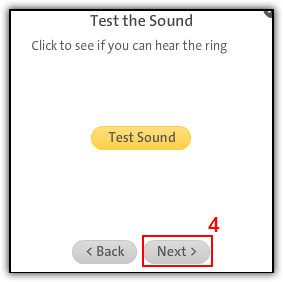 - Click Next (4) again in the Test the Sound screen. 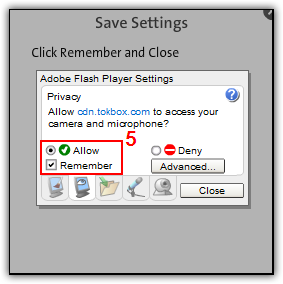 - If you are prompted by Adobe Flash Player Settings box, just select Allow and check on the Remember box (5). Then, click Close. 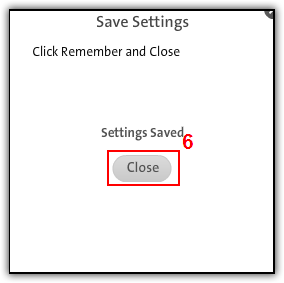 - On Save Settings box, click Close (6) to finish. From now on, VCS Virtual Audio Driver will be the main audio driver for your microphone in Tokbox voice chat. You now can voice chat with Tokbox. The morphing settings for your voice will be applied automatically. Note:: While VCS Virtual Audio Driver is being set as the audio driver for Tokbox, do NOT turn off VCSD 7.0 when voice chat via Tokbox. 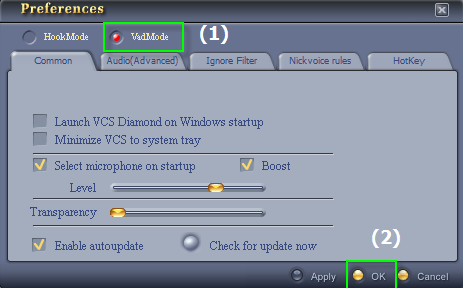 If you don’t want to use VCSD 7.0, change the audio settings of Tokbox back to normal audio source.